Hello! I'm back today with another card to share using the new release from Concord & 9th! 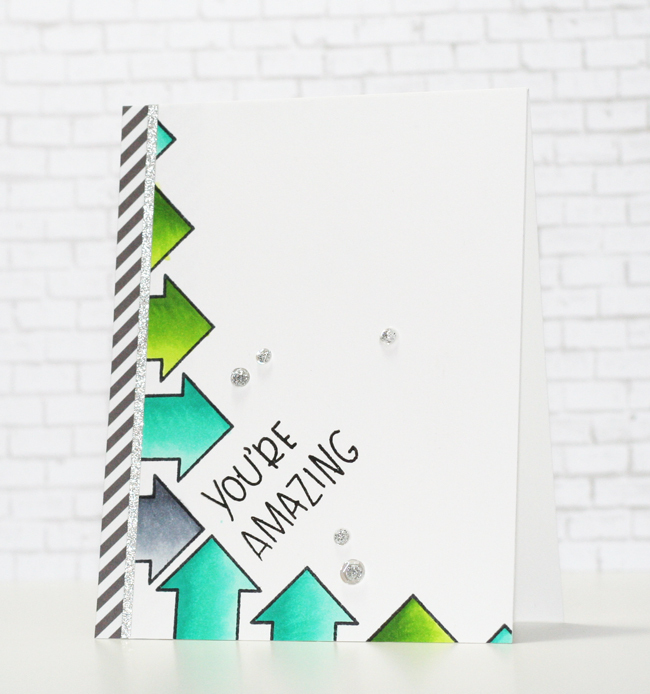 For my card today, I used the new Above Average stamp set to create a geometric, clean & simple card. I used the large open arrow stamp and stamped nine different arrows along the bottom and the left side of the white cardstock panel. I changed up how much of the arrow I stamped each time to give it a fun, unexpected design. I love how it looks with the arrows all stamped at different sizes and angles. Once I had all of the arrows stamped, I used Copic markers and coloured them all in. I used shades of aqua and green on the majority of the arrows and then I added one grey one for some added interest. Once I had them all coloured, I trimmed down the panel so it was slightly smaller than the card base in width and then I adhered ti to the card. I added a strip of grey and white striped patterned paper on the left side and then I added a thinner strip of silver sparkle cardstock. 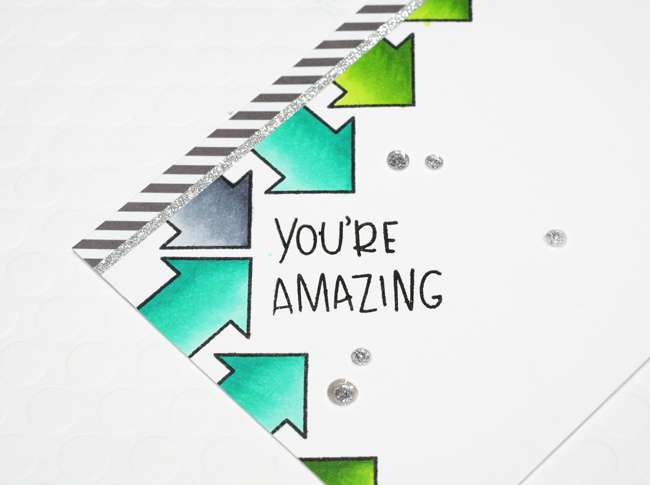 I completed the card by stamping the sentiment diagonally between the middle arrows and then I added some clear sequins for some added dimension. So adorable! Great color combo and design!